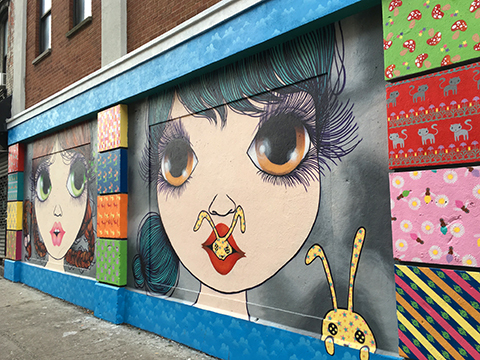 We have never visited a city more geared towards entertainment than New York. 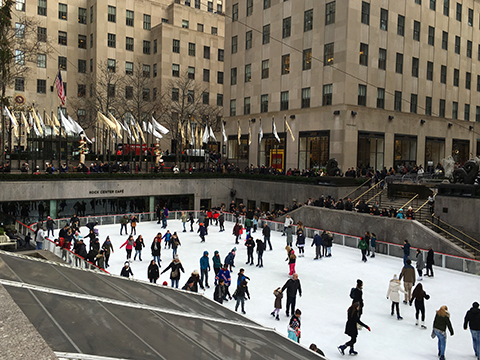 There is a staggering variety of things to see and do, and despite how densely populated Manhattan is it remains very pedestrian friendly. Every day we rode the subway without issue, and even the most popular attractions were so efficiently organised that we never had to wait long to get in. The people we met were always helpful and courteous, and the weather was as good as one can hope for in winter. It was really no accident that our week in the city that never sleeps went off without a hitch; this is a city built to be enjoyed. It was mid-morning when we arrived at our hotel, after flying overnight across a snowy North America. After a short nap we walked west and soon found ourselves on a busy downtown portion of Broadway. 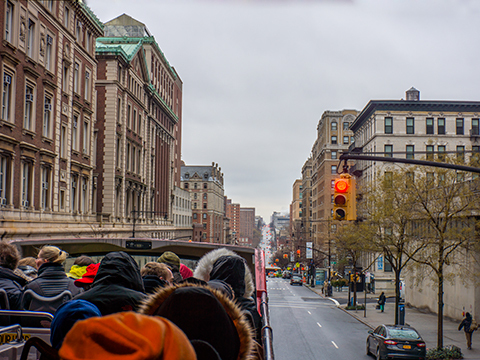 For the next two hours we circled the lower half of Manhattan on a sightseeing bus tour, as the guide regaled us with city history, points of interest, and his general disdain for Donald Trump. At Central Park we disembarked and caught the welcomingly warm subway back to our accommodation. Staying in the Lower East Side, right near Chinatown and Little Italy, gave us easy access to a treasure trove of culinary delights. As it turned out the first place we picked to try, Prince Street Pizza, ended up being one of the best of the trip. The floor was packed shoulder-to-shoulder with customers and the walls were covered with signed photos of celebrity pizza lovers, the closest to the register being James Gandolfini. At the tiny counter they dished us up four of the best, richest, tastiest slices we have ever had. New York pizza is no joke, and neither was the delicious szechuan peppercorn chocolate and bourbon vanilla ice cream from a dessert bar just a block away. The line outside the Metropolitan Museum of Art was growing rapidly when we reached it not long before opening time, but once inside the gigantic gallery it was surprisingly peaceful. It really is a titanic and beautifully displayed collection. For a mid-afternoon lunch we took a cultural nosedive and haggled with a hot dog vendor on the corner of Central Park. As the skyscrapers disappeared into fog we explored by bus the uptown and Harlem neighbourhoods. This time the guide was a little more historical and a little less political. It can be surreal to move through these famous streets that feel so familiar from film and television, with their iconic rows of brownstones, stoops and fire-escape ladders snaking from roof to sidewalk. That night we dined on artisan cheese puffs followed by an excellent three-course meal at the renowned Gramercy Tavern. We headed south the next morning to the Financial District. The rebuilt One World Trade Center, the tallest skyscraper in the Western Hemisphere, is an impressive and hard-to-miss sight. Despite its stature it is not quite as breathtaking as the 9/11 Memorial pools that rest at its feet. These two immense black waterfalls drown out the noise of the city and form a tranquil public space. Staring into them is mesmerising and inspires deep contemplation, as intended. 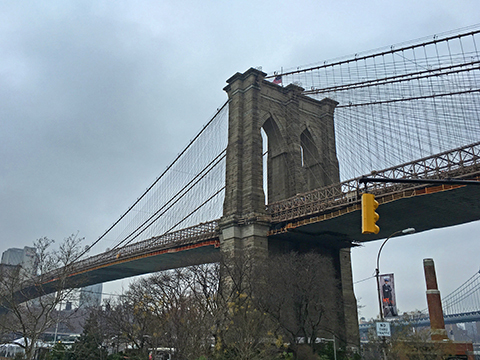 For the rest of the morning we took in a very informative bus tour of Brooklyn, starting and ending with a great view of the southern bridges. Lunch time in the Theater District is crowded, very crowded. 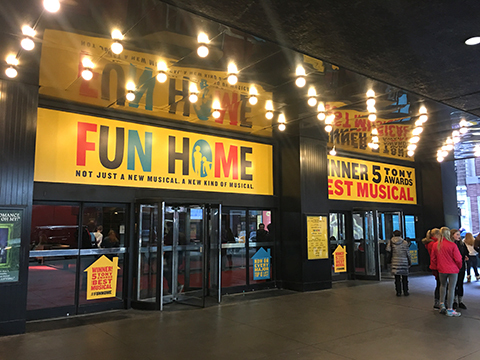 We were there to see the relatively new Broadway musical Fun Home, an adaptation of Alison Bechdel's graphic memoir, at the Circle in the Square Theatre. The show more than lived up to expectations, and the intimate seating arrangement made the emotional story all the more engaging. As the sun began to set we headed east to the even more crowded Grand Central Terminal. Not that we were there to catch a train, but rather to sample a highly recommended fast food restaurant: Shake Shack. The burgers, fries and custard shake were sinfully good, and the waitress that helped us find somewhere to sit was lovely, even in the face of the sheer number of patrons being funnelled through. Afterwards we headed upstairs to get a look at the spectacular main concourse of the station with its immediately recognizable four-faced brass clock. Our New Year's Eve got off to a great start with an explosively flavourful breakfast at The Breslin gastropub. The service was also top notch, a now recurring theme for our trip. From there we walked up to the Museum of Modern Art, home of The Starry Night. Before lunch we squeezed in a visit to the Neue Galerie to get a close look at Klimt's exquisite woman in gold. It was to be a museum-packed day as we spent the afternoon exploring the Museum of the City of New York, which had a lot to say about the waves of immigration and social reform the city has gone through since its inception. Before dinner that evening we decided to try our luck getting into a well reviewed but amusingly hard-to-find cocktail bar. The entrance is nothing more than a windowless door with the letters AB scrawled onto a small chalkboard. We knocked and waited, and before long a friendly man beckoned us into the narrow, mostly empty, single-room establishment. We chatted with the bartender as he made some of the, without a doubt, best drinks we have ever had in our lives. 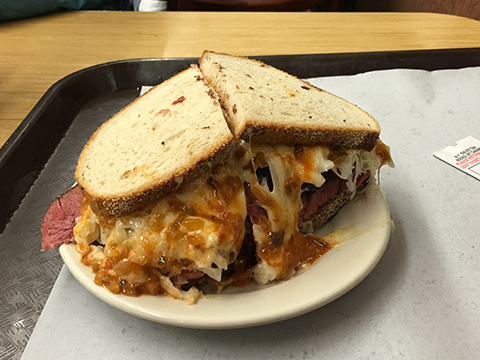 Once ready to eat we stumbled a few blocks to Katz's Delicatessen, one of the most notable eateries in the entire city, where we shared a mouthwatering giant sandwich in the charismatic restaurant. It's said that 40% of all American citizens can trace at least one ancestor back to the federal immigration station on Ellis Island. The first day of the new year felt like an appropriate time for us to follow in those travellers' footsteps and experience the gateway to the New World for ourselves. The station was operational from 1892 to 1954 and in that time 12 million people made their way through the Main Arrivals Building, past the infamous Buttonhook Men and on to their new lives in America. At its peak over 10,000 people were processed every day, most being subjected to little more than a six-second medical check and a basic literacy test before being granted entry to their new home. Current-day tourists, however, are put through an officious, TSA-style circus of inane checks not once but twice before being allowed to step foot on Liberty and Ellis islands. The irony was not lost on us as we gazed up at America's beloved 300-foot symbol of independence and freedom. From the Statue of Liberty we headed back to Manhattan for a late lunch at Remedy Diner. This 24/7 Lower East Side institution is the place to go if you like incredible sandwiches served by real professionals in a welcoming setting. The $13 Modern Cuban Sandwich was a revelation. We took a break to rest our spoiled bellies and then rounded the day out with a margherita pizza and some iced teas at Lombardi's, America's first pizza joint. After the customary wait to get in we were ushered through the main restaurant, past the kitchen and into what clearly used to be the shop next door. This 100-year-old local success story continues to be a cozy, bustling favourite for tourists and locals alike. Speaking of tourism, our next major destination was Times Square. The Crossroads of the World was fairly quiet on this Saturday morning, all visible signs of the New Year's Eve celebrations having been cleared away. A muted communal hangover lingered in the air, the only evidence of the million people who had so recently packed the area. We walked round Rockefeller Center and admired the Art Deco architecture of what is now known as the Comcast Building. A 42-second elevator ride took us to the Top of the Rock observation deck for an unrivaled panoramic view of the city. We ended the day with a couple of cocktails at the East Village's esteemed Death & Co. before classing things up with a slice of 99c pizza from a hole-in-the-wall shop that did not appear to have a name. With only a day and a half left in New York there were still two delicacies we needed to try: bagels with lox (brined salmon), and cheesecake. We hit up Tompkins Square Bagels for our morning fill and were not disappointed. The pride New Yorkers take in their food really pushes it to the next level. Left now with only a hunger for art we headed north to the Frick Collection, a unique art museum inside a mansion that boasts a collection that is small but of the highest quality. At noon we strolled through Central Park, which was looking much nicer now that the sun was fully out. 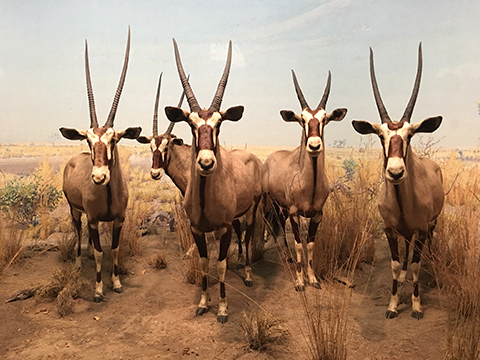 We spent the afternoon admiring the many dinosaurs and other exhibits at the American Museum of Natural History. Then it was cheesecake time, and where better than the original Junior's restaurant in Brooklyn. Of course we first had to gorge ourselves on a huge and delectable main course, complete with cornbread, beetroot, pickled cucumbers and coleslaw on the side. Even after all that the perfectly done cheesecake was still the highlight. According to the 2013 edition of The Newest New Yorkers, 49% of New York;s 8.5 million residents speak a language other than English at home. There is no dominant ethnic group in New York City; six out of ten New Yorkers are either immigrants or the children of immigrants. The largest migrant groups come from Latin America, Asia, the Caribbean, and Europe, and the white population has dropped from 97% in 1910 down to 35%. Add to this the 12 million international and 45 million domestic tourists the city hosts each year, and it is easy to see how New York has become the most exciting and diverse place on the planet. The immigrant story in New York has been well documented, indeed mythologised, and no rendition of it would be complete without reference to the tenements of the Lower East Side. Not far from our accommodation on Rivington Street (notable in its own right as home to the country's first settlement house, founded in 1886), sits the Tenement Museum. Between 1865 and 1935 this five-storey brick building housed 7,000 people from 20 different countries. Up to 22 families would have been crammed in at any one time, their shared yard housing a row of four wooden outhouses alongside a single water hydrant – a communal hub that served the washing and bathing needs of over 100 people each day. Unfortunately we were not allowed to take pictures at this registered National Historic Landmark, but if ever you get the opportunity to visit we recommend it highly. A knowledgeable guide took us through the building and discussed its history with particular reference to the Moores, an Irish-Catholic family who lived there in the 1860s during a time when the neighbourhood was known as Kleindeutschland. The tenements offered shelter to the huddled masses, a humble first step for those who came looking for a place to start again. Standing in the same rooms as countless migrants before us, witnessing the layers of wallpaper they left behind, their hand marks on the bannisters, their toe scuffs and worn patches on the floorboards, felt like a fitting way to end our time in New York. Please find our full photo album here. "Have you done the Grind yet?" 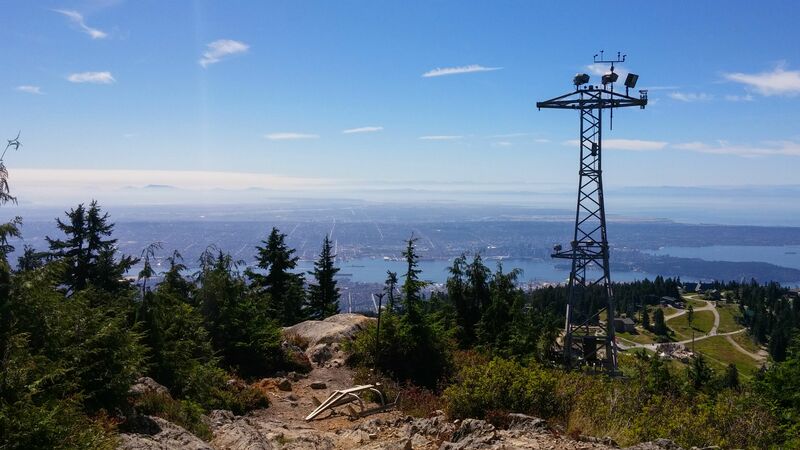 "The Grouse Grind, have you been up? How long did you take?" 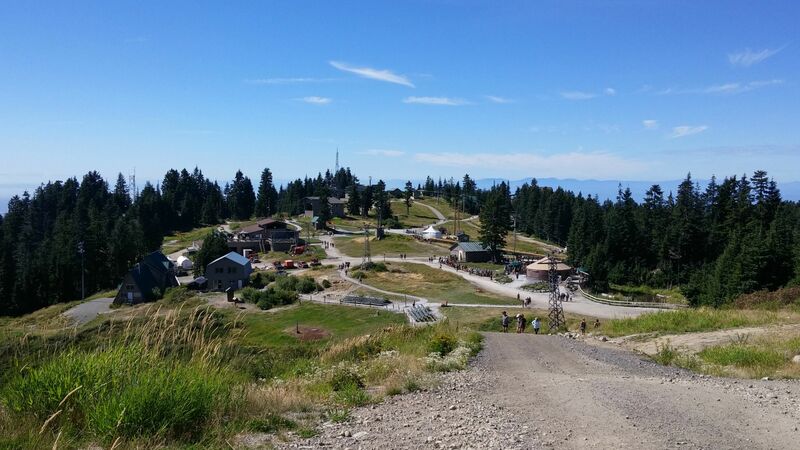 "You haven't been up Grouse yet? You've gotta do it!" (followed by maniacal laughter). New arrivals to Vancouver will invariably be asked some version of this question many times during their first few weeks in this beautiful city. The collective obsession with leading a healthy active lifestyle here is second only to the obsession with talking about one's healthy active lifestyle. The Grind question goes hand in hand with the equally common (though less ominous) quiz on Stanley Park and the Capilano Suspension Bridge, and will probably be followed up with a recommendation that you go stand-up paddle boarding in English Bay (a yoga paddle boarding option is also available). 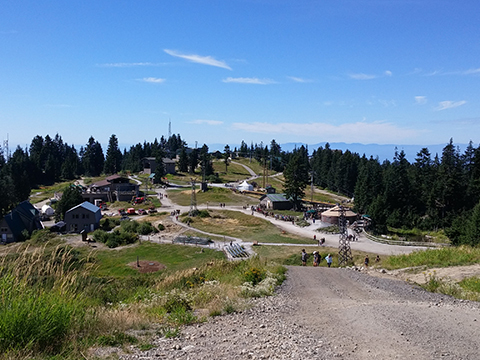 Grouse Mountain is a 1,200m peak that belongs to the North Shore Mountains, located just a half-hour's drive from downtown Vancouver. 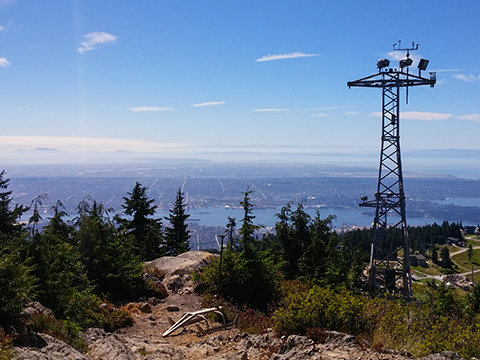 The Grouse Grind is the popular name for the gruelling 2.9km hike up the mountain. Three kilometres doesn’t sound so bad, until you learn that the trail climbs 853m in that short distance, with an average grade of 17° that increases to 30° in certain is-this-what-dying-feels-like? sections. I would hesitate to call it a hike at all; really it is the world's most devilish, unending flight of stairs. Every single step requires the pronounced lifting of a knee and the hoisting of your body to move farther vertically than horizontally. At no point are you ever just walking; the Grind is an unrelenting fight with gravity. The trail has gained the nickname "Mother Nature's Stairmaster", but I think that is misleading; Mother Nature had nothing to do with it. 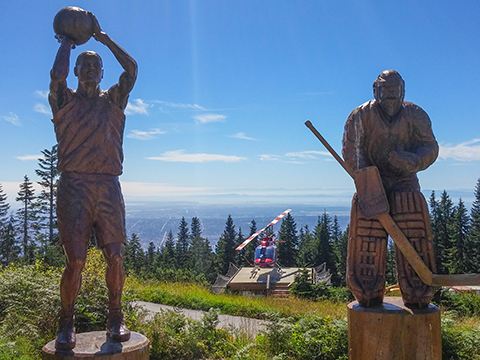 The Grouse Grind was clearly designed by Satan. I managed to crawl my way to the top in one hour and eleven minutes. 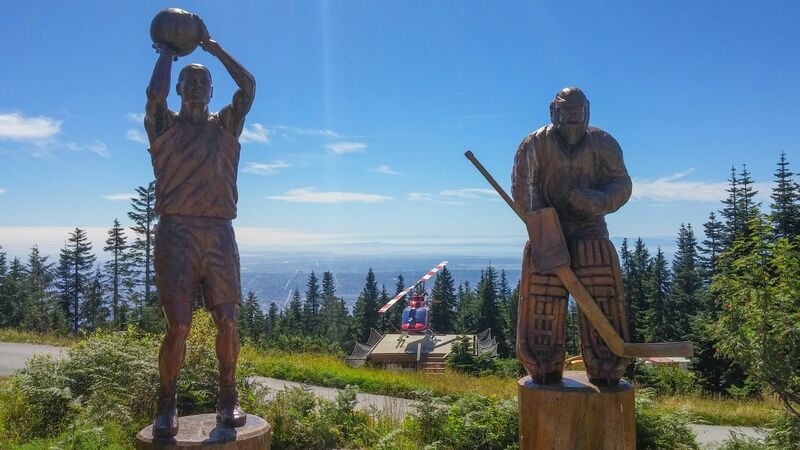 The Grouse Mountain official website says the average time is 90 minutes, though certain exceptional human beings can make it in less than half an hour. The current record holder is Sebastian Salas, who clocked in at 23 minutes and 48 seconds. Oliver Bibby holds the record for most ascents in a 24-hour period, having made the climb 16 times within 20 hours. Personally, I don't mind if I never do it again in this lifetime. When I did finally make it to the top of the Grind I found a quiet spot in the sunshine, texted Stephen to let him know I was alive, and then sat still for a good 15 minutes. I was very tired. It is tempting to head straight to the Skyride and its promise of more natural altitudes as soon as your jelly legs will allow, but I strongly urge you to resist the impulse. You will have all day to enjoy the olfactory experience that is 40 sweaty strangers packed into a floating perspex box, whimpering quietly in disbelief as the mental and physical sacrifices you all made to get to the top of the mountain slip away mockingly beneath you. I ended up spending a good three hours up the mountain, despite missing both the Lumberjack Show and the Birds in Motion Demonstration. Grinder and Coola, the mountain's resident grizzlies, were on fine form, and the views from the Eye of the Wind and chairlift area are worth the extra effort. You really can see all of Vancouver from up there, with a clear line of sight stretching south past Richmond and the airport all the way to Delta. By two o'clock I was ready to begin the land, sea and (thanks to the gondola) air travel necessary to get back to downtown Vancouver. I’m not sure whether I would count the Grind as a positive experience, but it is definitely An Experience, and one I’m glad to have suffered. In the hour between our midnight arrival and reaching our hotel room we were already taken by San Francisco's charm. From the retro neon Coca-Cola signs to the charismatic clerk and the antique elevator, it was like we had stepped inside a movie. In the light of the next morning the city only grew in character. Each building had its own idiosyncrasies, each storefront had a hand-painted sign, each busy person was going in their own direction. Nothing blurs together in San Francisco, it is a landscape of distinct edges, densely packed and thriving on diversity. We had breakfast in Union Square and watched the tour bus operators hustle to make a living. After haggling down the price we joined the circuit with a bold and hilarious guide. The fog had cleared by the time our bus reached the Golden Gate Bridge, but that didn't save us from being blasted by a strong cold wind as we passed through the magnificent structure. We were warned about staying on the exposed top deck, but it was more than worth it for the view. At Pier 39 we hopped off for lunch and a walk along the waterfront. This bustling and vibrant sidewalk must be destination number one for tourists, judging by all the pedicabs, hotdog stands and buskers. 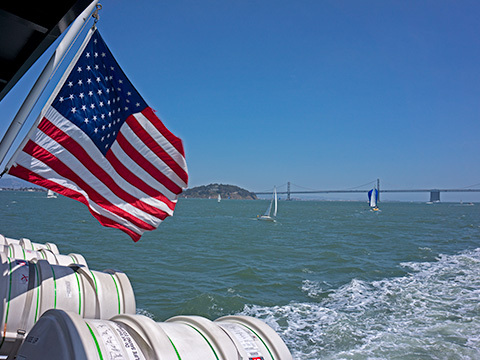 The weather was really heating up as we got in line for the ferry over to Alcatraz Island. It's a short ride across the bay to the famous abandoned prison. From there you get a wonderful view of the city from a different perspective, and the freedom to explore the grounds inside and out. The audio tour begins just past the communal showers and is absolutely worth listening to. It guides you through the concrete citadel step by step as testimonies from both guards and inmates echo around you. The bloody and chilling history is told with a flair for the dramatic, and really instils an oppressive, eerie atmosphere. 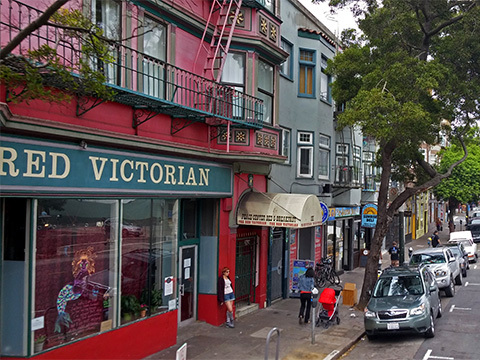 With a few hours left in the afternoon we headed to the curious and photogenic Haight-Ashbury district. Famous for being the birthplace of the hippie subculture, it seems not much has changed since the 1960s, except perhaps the cost of living there. The area is filled with flamboyant artwork and eccentric shops, as well as rows of beautiful Victorian houses. From there we walked to Japantown and had sushi at a tiny restaurant with a comically rude, elderly waitress. Never mind her though, everyone else we met was exceedingly friendly and happy to talk to strangers in a way we have not experienced anywhere else. 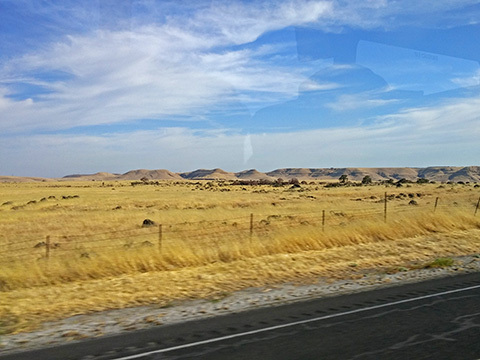 At 6am the next day we were picked up and began the three-and-a-half-hour journey across California to Yosemite National Park. The first three hours are little more than rolling yellow fields of wind turbines and almond trees. Once we hit the mountain range the ascent began and the scenery quickly turned green and blue. This must be where they get the water from to grow all those almonds. Our first stop gave us the opportunity to visit a few giant sequoia trees. Their size and colour are stunning up close, and the trail through the forest was a pleasant shaded walk in the hot weather. It turns out the redwoods were just an appetizer. As we wound further into the park we occasionally caught glimpses of the peaks that make this glacial valley so well known. And then we reached Tunnel View, and it all made sense. 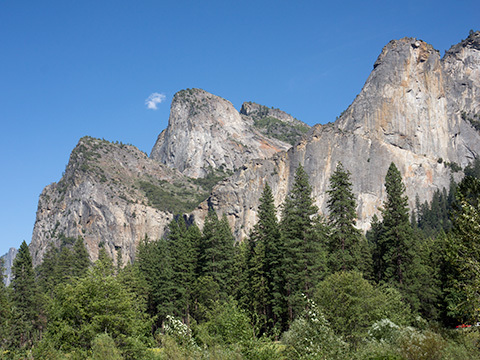 It is an awe-inspiring panorama, with El Capitan imposing on the left and Half Dome nestled away in the distance. Photographs do not do justice to the scope of this outlook. We spent the rest of the afternoon surrounded by incredible views as we explored the Yosemite Falls area. If we squinted just right we could even make out two climbers halfway up the face of El Capitan, looking no bigger than ants. As we left the park a forest fire could be seen developing in the distance. Not an unusual occurrence, especially not in the last few years of constant drought. It was dark by the time we reached Oakland, but there was still one last stop to make, at the man-made Treasure Island in San Francisco Bay. Here we took in a beautiful, albeit very windy, view of the city at dusk, with its lights beginning to sparkle. That must be a romantic spot to park up on a date. With one day left there was a lot we still wanted to see. We rode the metro up to Golden Gate Park, and after an hour of walking through the grounds we reached the small herd of bison sleeping way back in their enclosure. We probably should have brought some binoculars. On a bus back downtown we came to appreciate just how steep the hills are. It is no surprise the city has multiple transit companies operating in parallel. Our bus driver was no nonsense when it came to keeping the riffraff on the street as we passed through the aptly named Tenderloin neighbourhood. San Francisco's Chinatown is almost a caricature. Every inch is packed with red lanterns, jade statues, flea markets and tiled roofs with upturned eaves. It makes for a crowded but entertaining walk up Grant Avenue. We came out the other end in Little Italy and stopped for lunch near the eye-catching Saints Peter and Paul Church. Unfortunately we missed the restaurant with garlic ice cream on the menu. Next time. Our final hours were spent walking the piers and relaxing near the Bay Bridge where we admired Cupid's Span, a giant sculpture of a bow and arrow shooting into the ground. A fitting location from which to say goodbye. As our plane headed north we once again saw smoke clouds billowing into the sky. Maybe the rain will finally return next year. Please click here to view our biggest photo album ever!